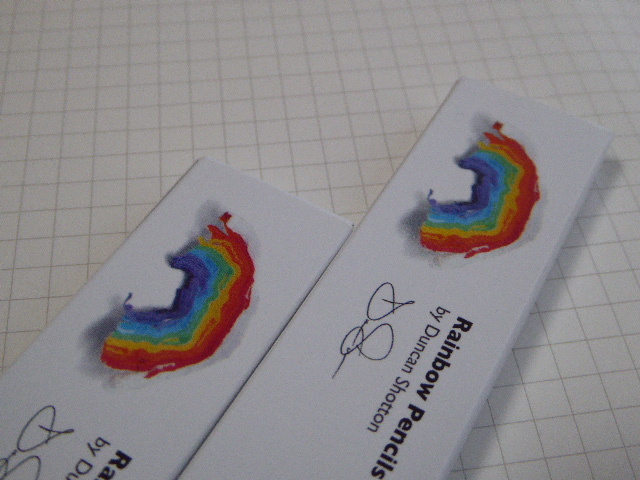 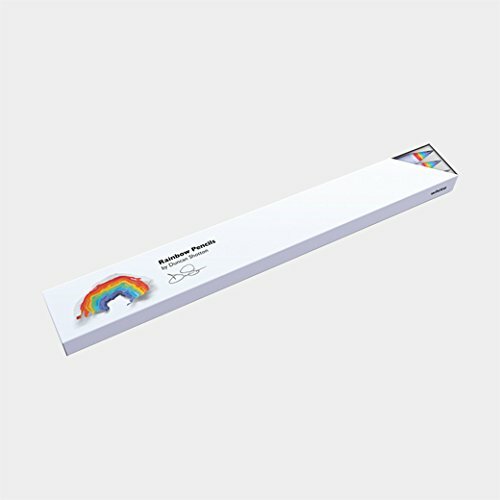 Rainbow pencils are made from recycled paper, they let you create beautiful paper rainbows when you sharpen them. 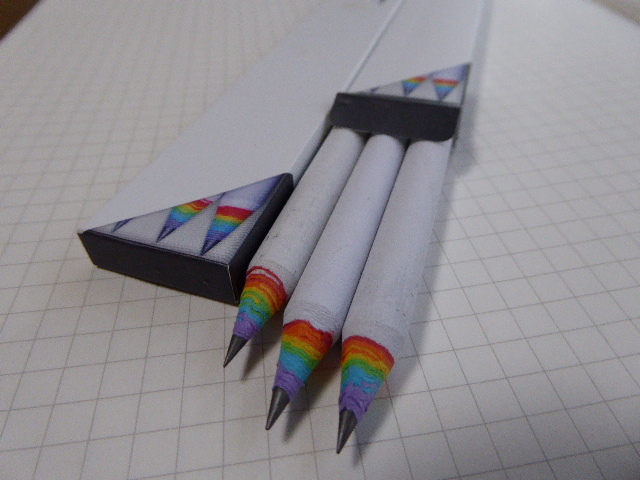 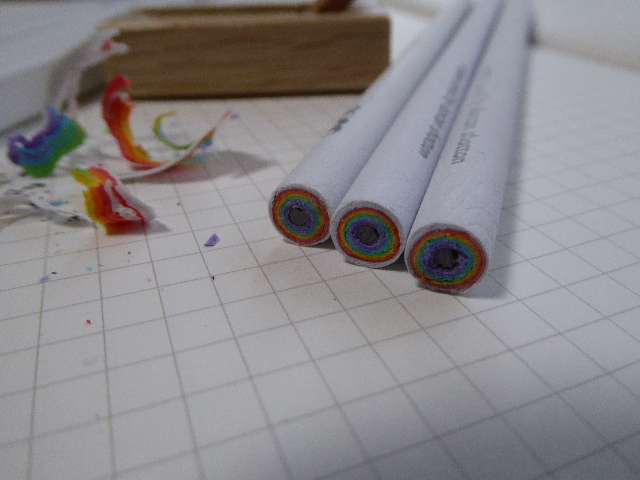 Rainbow Pencils function like regular wooden pencils, and are the same size and weight, but they're not made from wood, they're made from lots of layers of recycled waste paper. 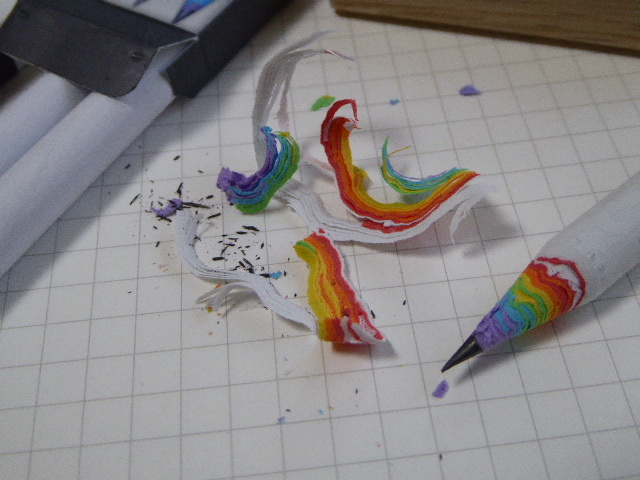 So the shavings / sharpenings look like rainbows.